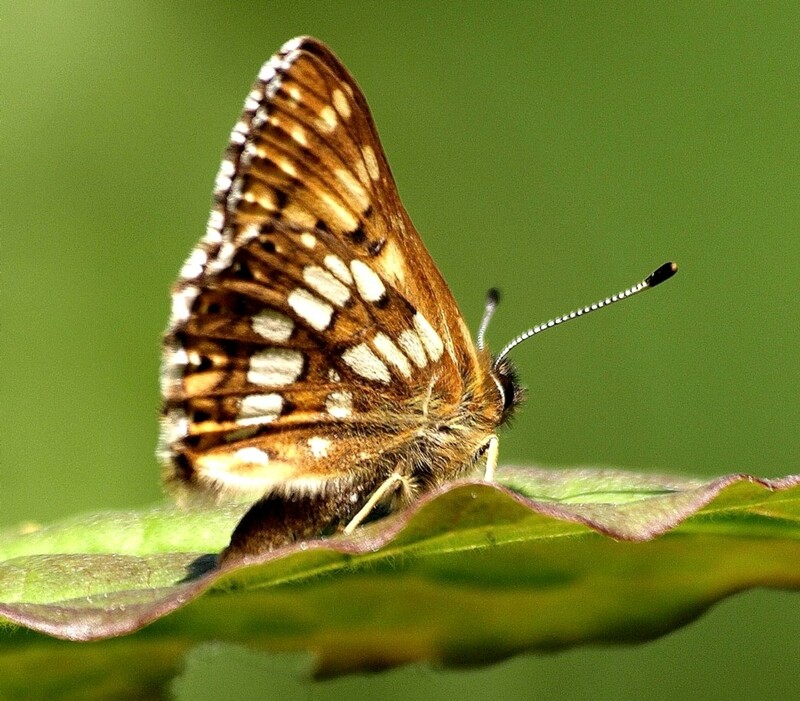 A guide to British butterflies in the United Kingdom. 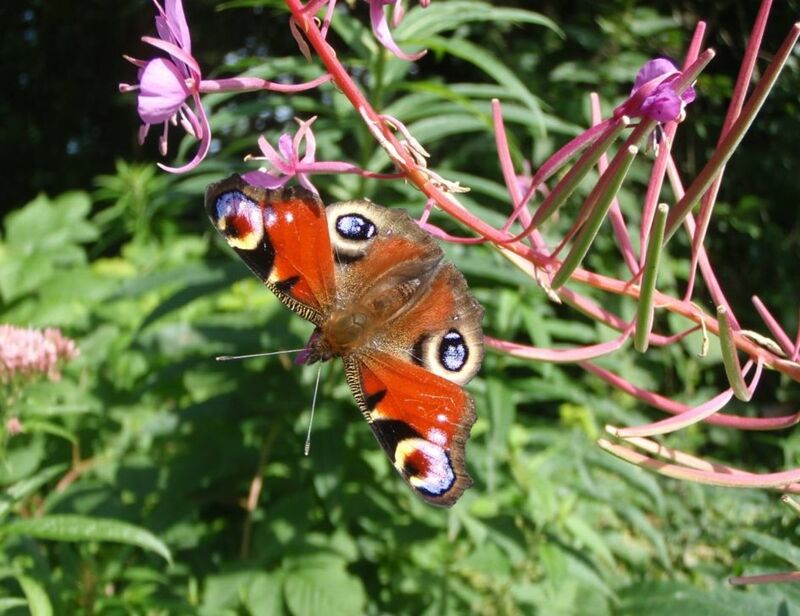 Have you ever seen a British butterfly that you could not identify ? There are several books available but the internet usually requires scrolling through masses of images in the hopes of spotting 'your find'. Butterfly spotting used to be a cruel sport catching the insects in a net and pinning them to a board for display. Fortunately those days are gone and the modern amateur lepidopterist's tool is the digital camera. My technique when I find a butterfly is to use the macro setting and then steadily get closer and closer, snapping away all the time. Eventually the tipping point arrives and, depending on the species, the butterfly takes flight. I often then have a collection of six to a dozen images in which there are hopefully a couple of good ones. I delete the sub par photos and the remainder go into my collection for naming and description. Butterfly habitat is varied and can be very specific to the species. I find Common Blues like open heathland while Red Admirals and Peacocks favour gardens and parks. However, the Large Blue requires red ant populations and thyme to feed on. Like all species, the more specific the requirements, the more susceptible they are to environmental pressure and thus some butterflies have become endangered. I don't want to get into the discussion of how to distinguish a British butterfly from a British moth. 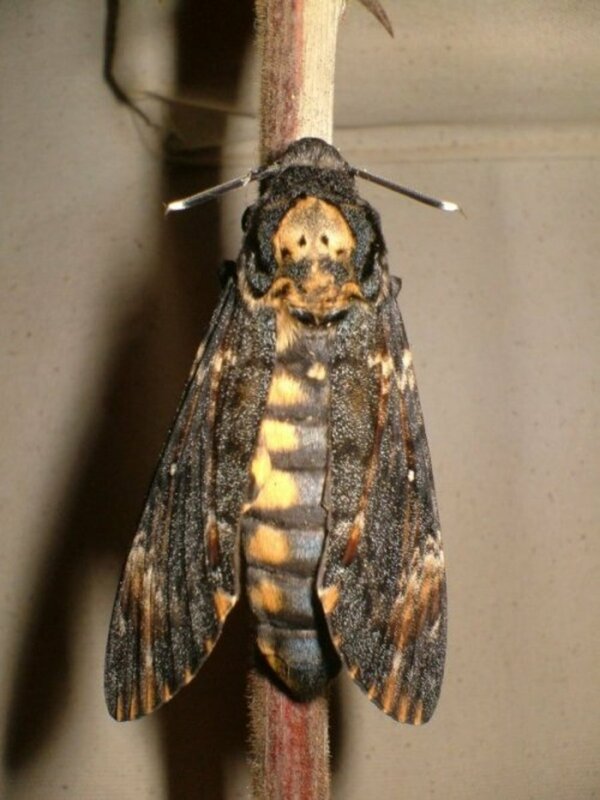 Many moths resemble butterflies and many butterflies, moths. There is one that I use, a moth's antennae are feathered while a butterfly's are smooth with a 'bobble' at the end although I am told even this is not conclusive. As with all things, practice makes perfect and with time and knowing what you are looking for, the differences are quite clear. And fortunately the ones you are likely to see on a sunny day are very obviously butterflies. I have seen many beautiful butterflies that I haven't been able to photograph. The Brimstone is an example. I watched it fly past me at high speed dancing from flower to flower across the meadows but it would not settle and thus remains one that needs to be added to the collection. All the photos in this collection have been taken by me on a standard digital camera and I hope you enjoy them for simply being butterflies. Finally a note on 'why butterflies'? They apparently do not serve any useful purpose, making honey, tilling the earth, controlling pests etc. What would encourage nature to create such a creature? Me, I don't care, their sheer beauty is enough. Their moniker 'flying flowers ' is well applied and I can spend many hours watching them at play. All photos in this article copyright Peter Broster available via creative commons. 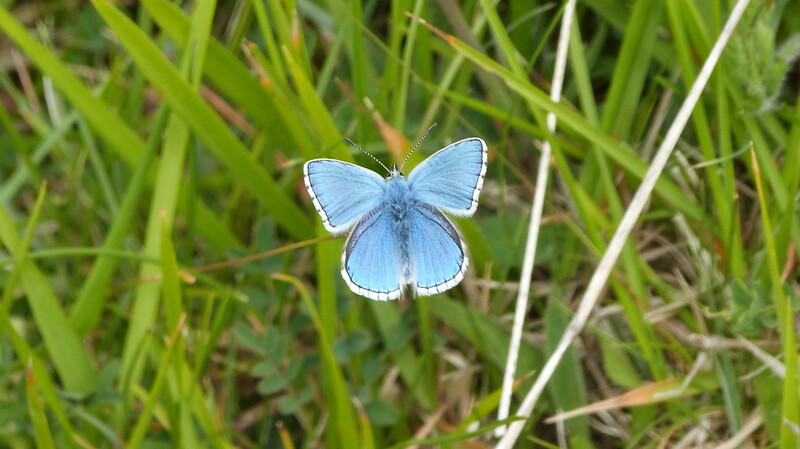 I saw the adonis blue on a hillside near the English channel and nothing prepared me for the vivid almost irridescent blue of the wings. The only comparison are the azure blues of the americas. So while the chalkhill and silver studded are delicate shades of different blues and greys, adonis is full in your face blue. Definitely one of my favourites. Its habitat is chalkland and thus defines its range to the south and east of England. 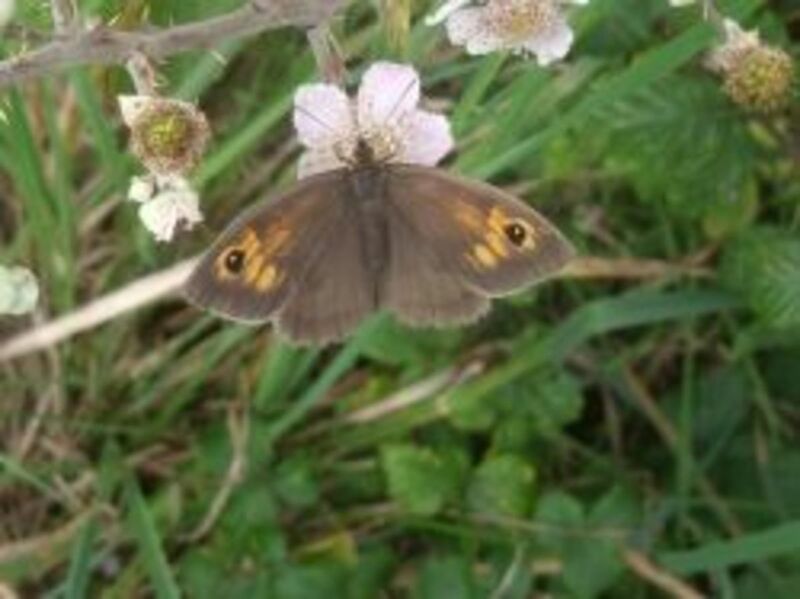 Found on damp grassland throughout Britain the ringlet is a dark brown butterfly with distinctive eye spots on the under wing. When newly emerged from its chrysalis, the ringlet has a black velvety appearance with a white fringe. As can be seen from this image the wings deteriorate with time and flapping. Blackberry bushes and Wild Privet are favourite nectar sources and is frequently found alongside water courses. 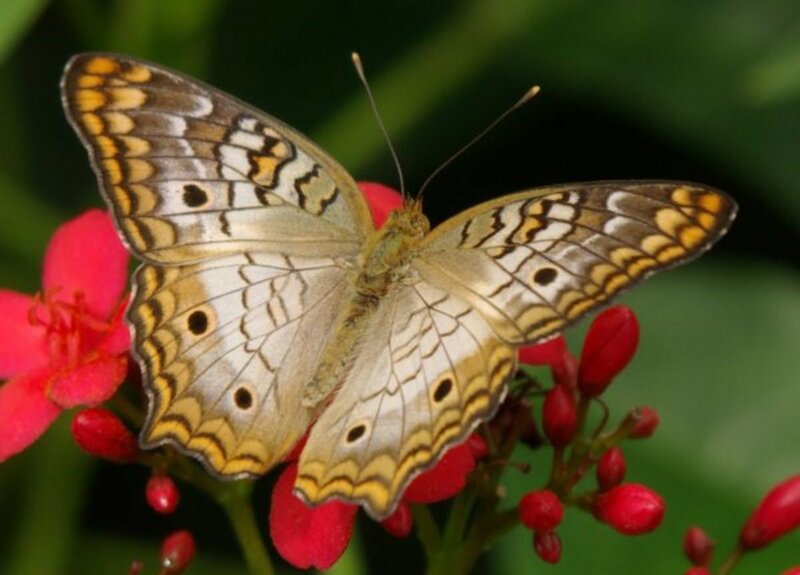 Adults fly with a characteristic bobbing flight in dull, cloudy conditions when most other butterflies are inactive. 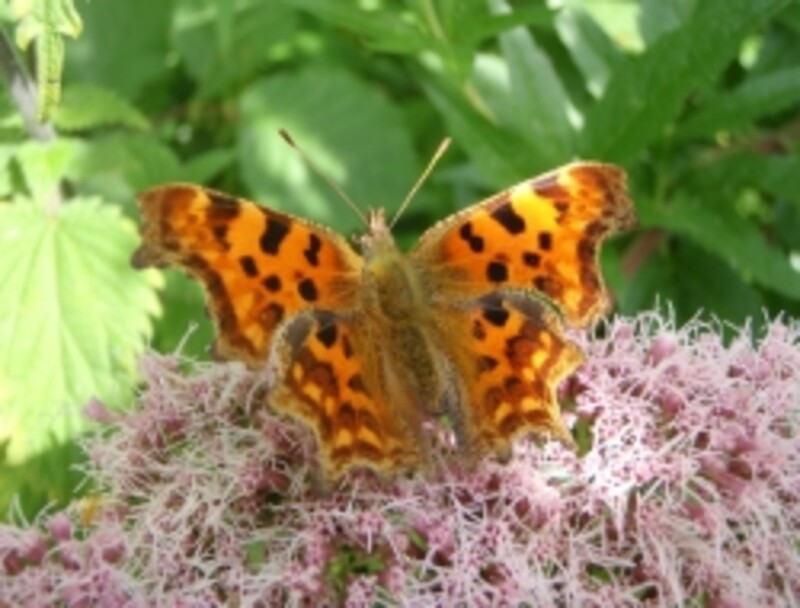 This has made it possible for the butterfly to increase its range substantially throughout England, Wales and Scotland in recent years while other species have suffered. 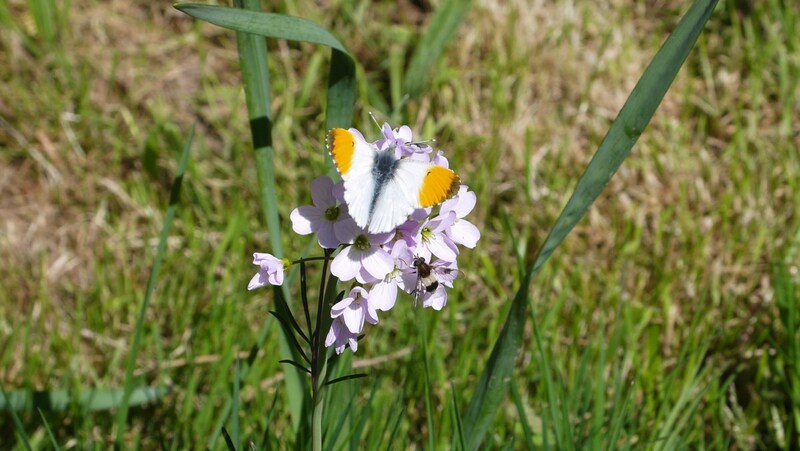 The Orange Tip is named for the male's bright orange tips to the wings. In contrast the female is quite drab. Apparently they mate on the wing as a result of females leading a merry dance and leaving a trail of pheromones tgat the males follow. Found in meadows on such plants as cow parsley, orange tips are early spring butterflies often disappeared before summer starts. Orange butterfly with a black scent scales on the edge of the male wings. 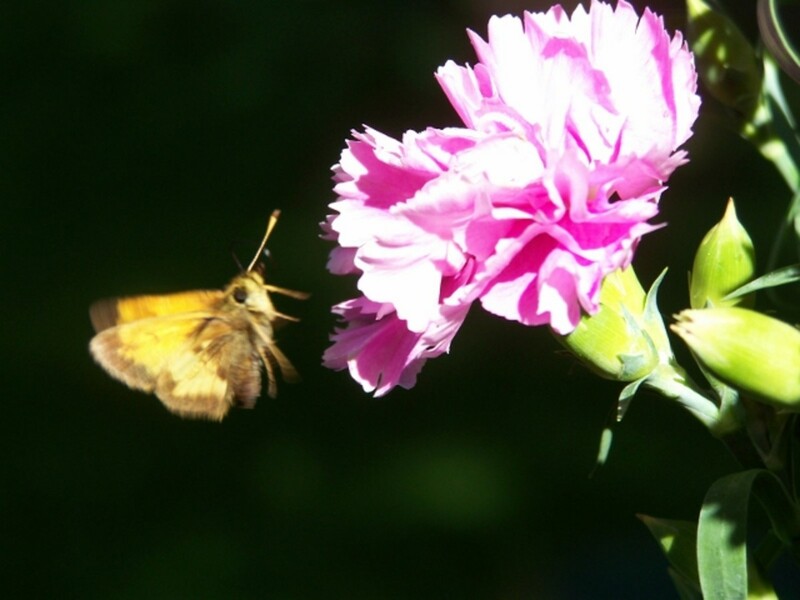 The antennae tips are orange which distinguishes it from the Essex Skipper whose antennae tips are black. Unusually the butterfly basks with wings set an angle, partly raised. 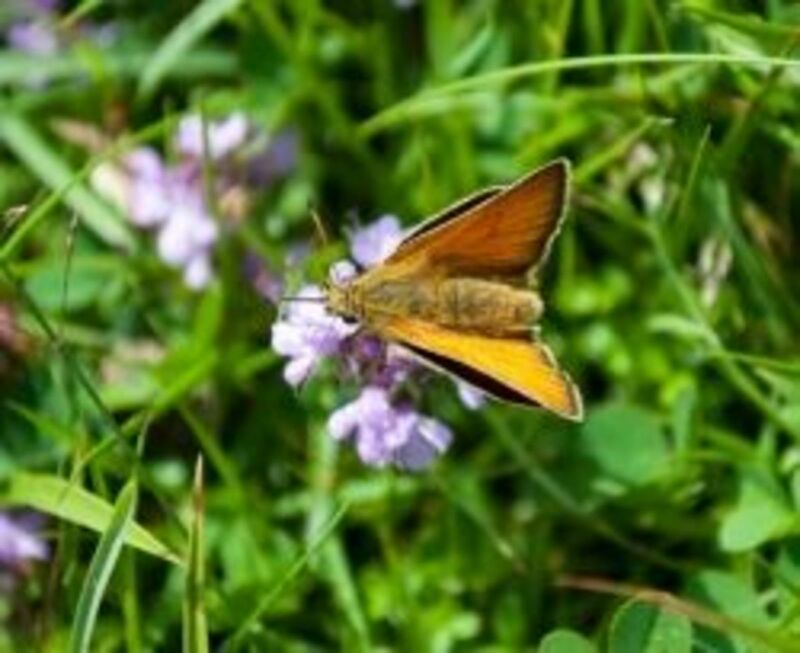 The stubby body has been likened to moths but the antennae style and the distinctive butterfly flight puts the skippers (Hesperiidae) with the butterflies. Prefers a habitat of long grassland over woodland. This butterfly is fairly common over southern England where it follows the chalk line and its main food source, the horseshoe vetch. The male has a strong blue dusting near the body. But the important thing for me compared to other blues is how the usual black rim bleeds into the blue wings and creates a grey veining. This makes for a stunning butterfly. Common in July and August this is a beautiful butterfly and with patience you can see it all over places like Cleeve Hill Common and other chalk locations. This may not be the most beautiful butterfly but undoubtedly this is my favourite British butterfly. I have always enjoyed watching this raggedy shaped butterfly as it feeds on flower heads. It gets its name from the small white 'comma' shape on its undersides. 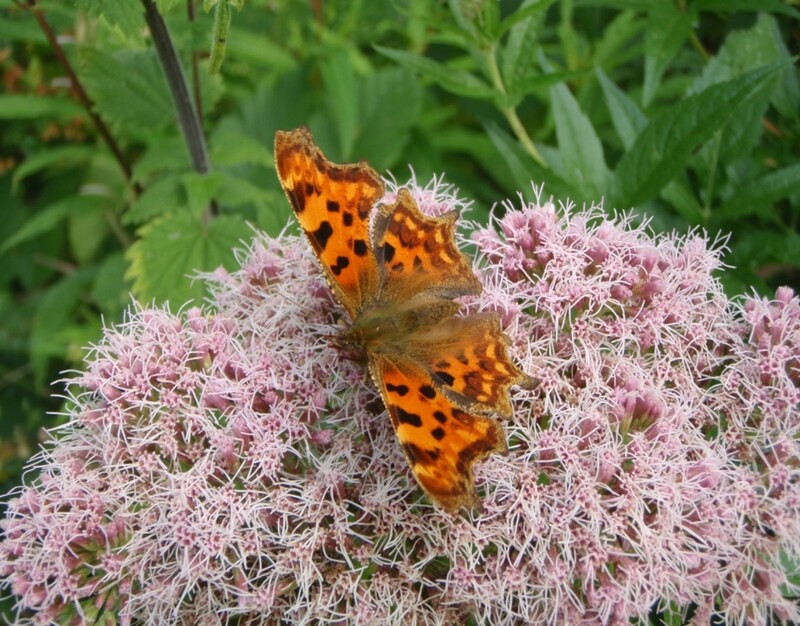 The butterfly likes gardens and hedgerows and hibernates in Britain overwinter. The ragged wing shape is supposed to resemble a dead leaf and thus is a help with camoflage. Probably the most spectacular and certainly one of the most beautiful butterflies of the UK. The Peacock is seen in gardens and hedgerows and is very fond of Buddleia bushes. The name comes from the large bluish eye spots on fore and hind wings. The Peacock is a strong migrant flyer and has been found as far north as Iceland. 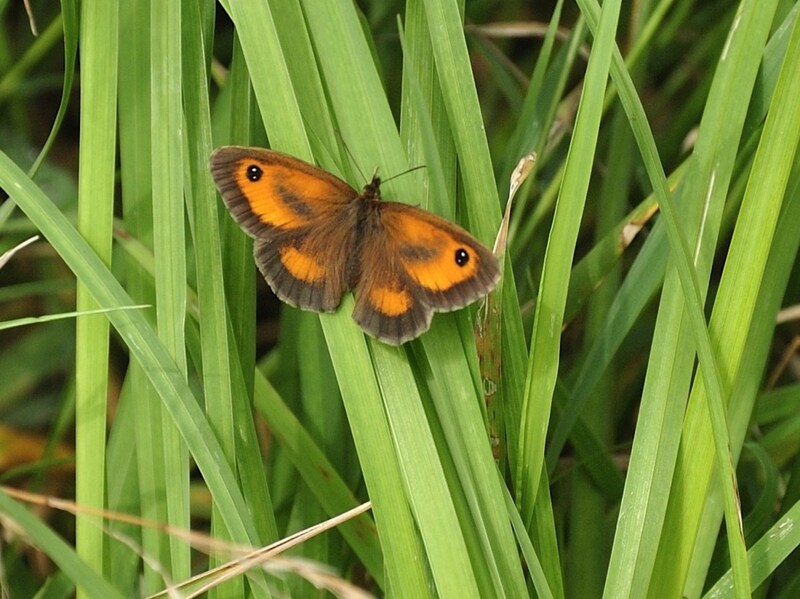 Also known as the Hedge Brown, the Gatekeeper is a fairly common butterfly seen in fields and hedgerows all over England and Wales. 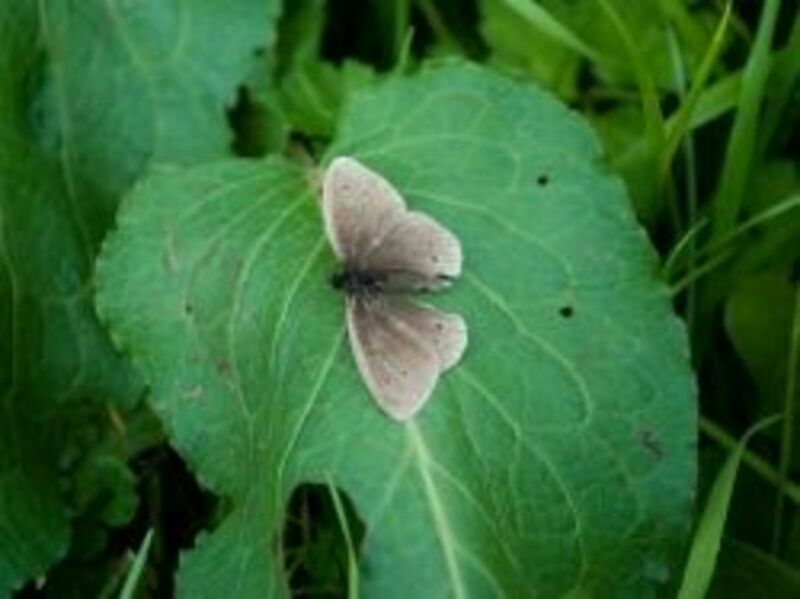 The male has distinctive brown patches on the forewing which are scent patches (see photo). 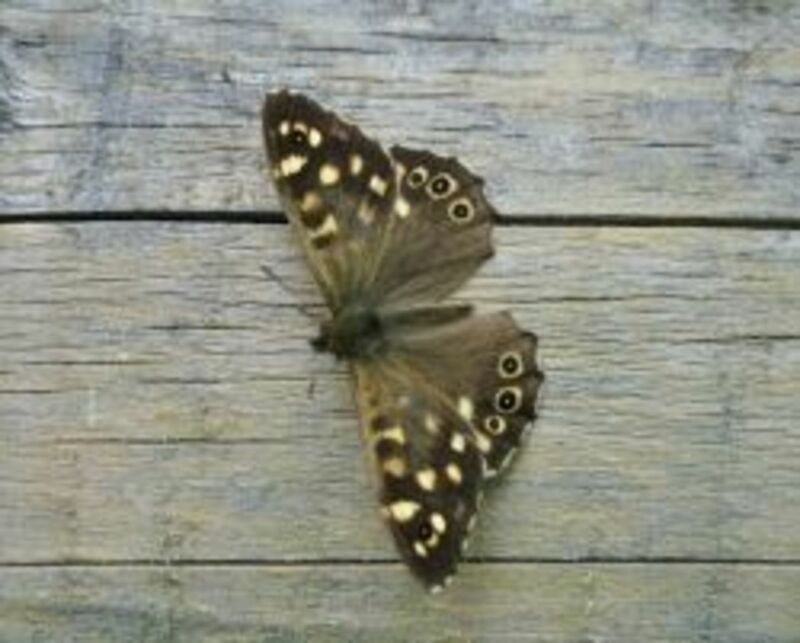 A fairly common widespread member of the brown family, the speckled wood is well named and can be seen over much of the British Isles. It has a preference for grasses and rarely visits flowers. 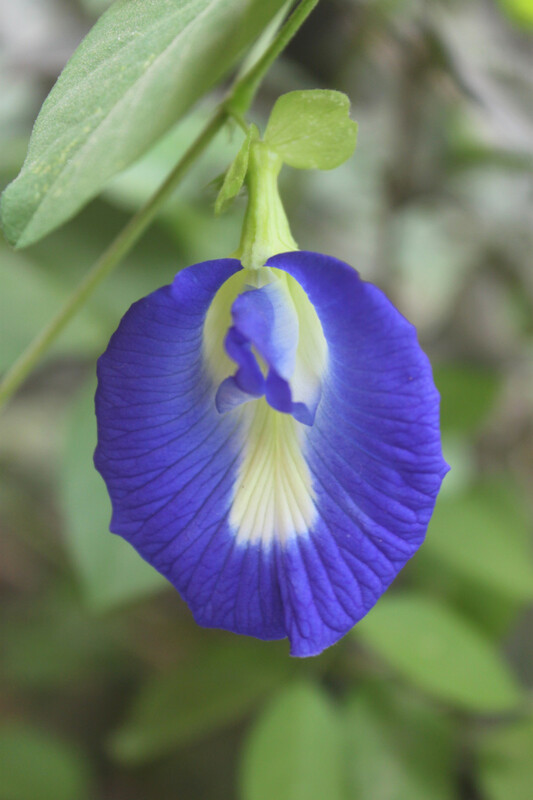 It prefers woodlands and grasslands but can also be seen in gardens. This beautiful butterfly is seen in open grassland and meadow locations. It is probably the commonest of all butterflies and in some locations can be abundant. Only 17 mm in overall width the butterflies are a delight to watch as they dance in the sun. 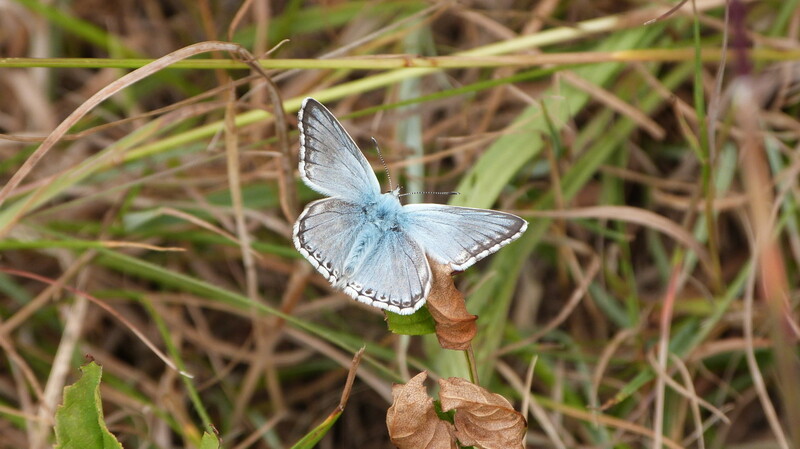 There are many very similar species of blue but this is the only one with a small black spot in the middle of the fore wing underside. The Small Copper is solitary but sometimes can be found in large numbers at good locations. Males are territorial defending and returning to the same spot. Generally a stable population the Small Copper has declined in recent years. Common Sorrel and dock leaves are the main foodplants while habitat includes chalk grassland, moorland, heathland, coastal dunes, woodland clearings and unimproved grassland. 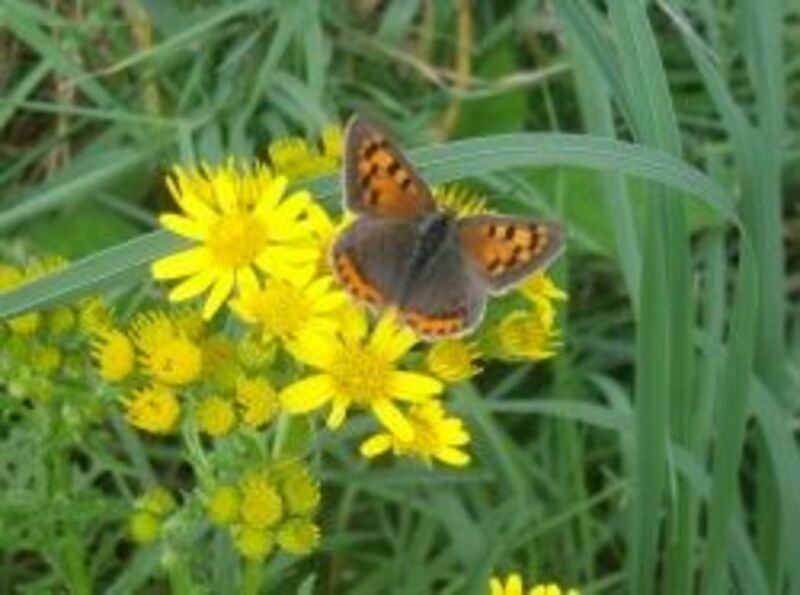 Small Coppers may also be found in small patches of land such as roadside verges, railway embankments and churchyards!!!! Widespread throughout Britain and commonly found in gardens. Bright orange and black wings with white spot in forewing. 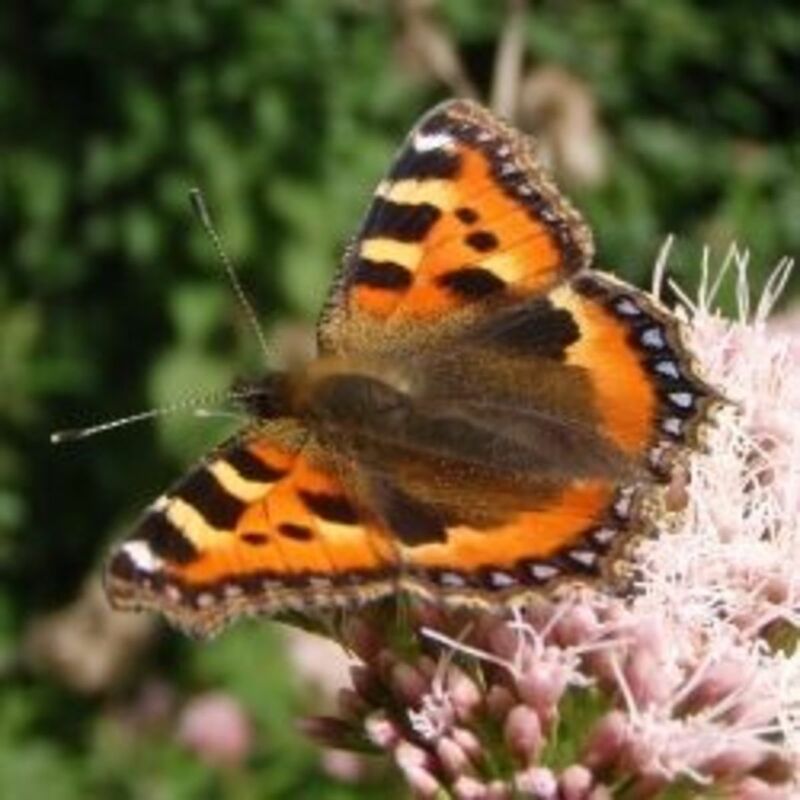 The Small Tortoiseshell is among the most well known butterflies. Its invasion of urban areas have made it a familiar species. 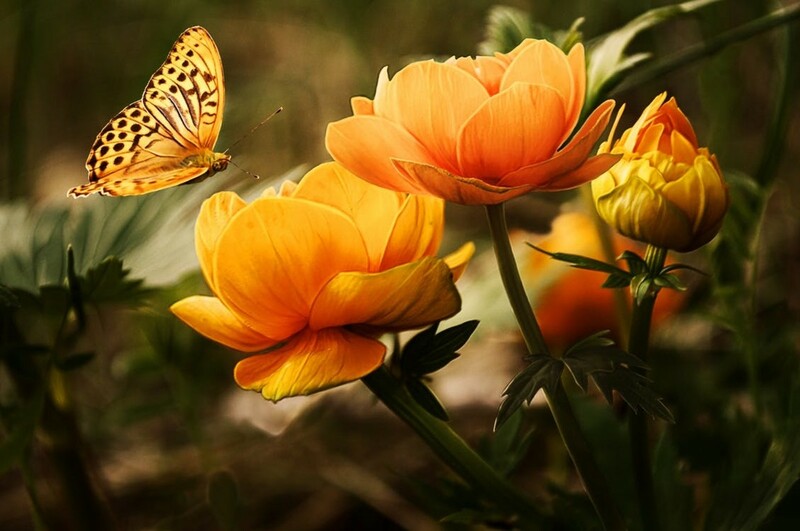 One of the first butterflies to be seen in spring and the last in autumn it often visits garden flowers in large numbers. As with all butterflies this farly common species has suffered in recent years. Its favourite food is the common nettle and its habitat varies from town to countryside. The Meadow Brown is a very common species and sometimes hundreds may be seen together. Adults fly even in dull weather. Its foodplants include a wide range of grasses and its favourite habitats include grasslands, heathland, coastal dunes, roadside verges, hedgerows, and waste ground. Also occurs in parks, gardens, and cemeteries. Widespread and common throughout Britain. White with prominent greenish veins on hind wing. Upper wings have one or more spots. 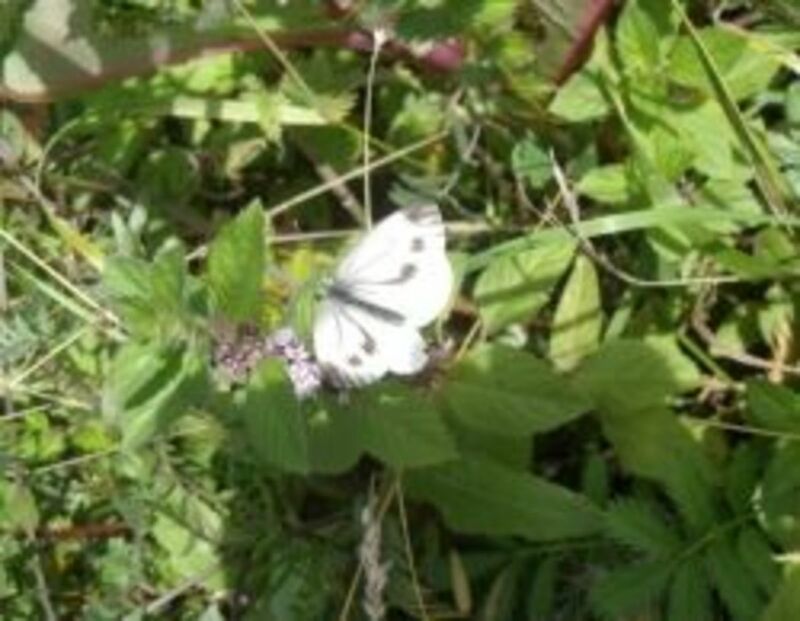 The Green-veined White can be found throughout the countryside, but prefers damp, sheltered areas. It breeds on wild crucifers and is not a pest of cabbage crops. The green veins on the underwing make it well camouflaged when it hides among vegetation. 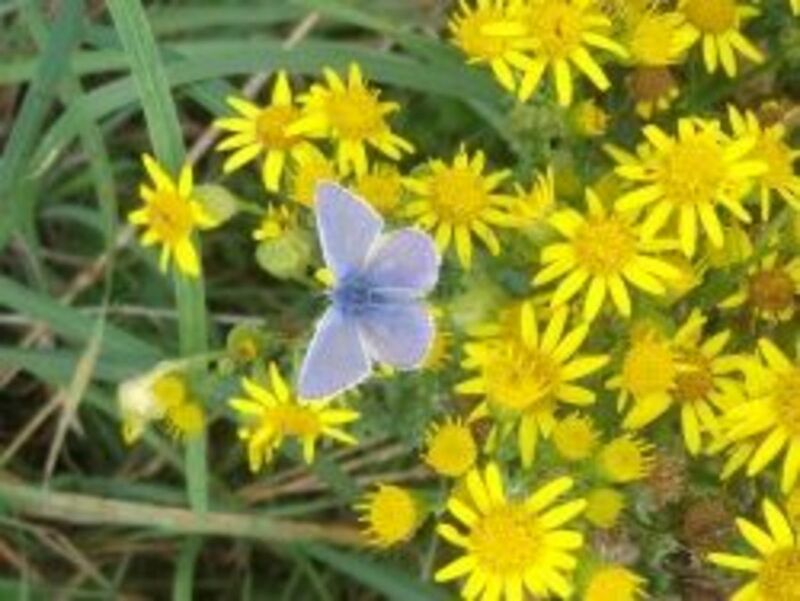 The butterfly is common and widespread in Britain, but it is probably less abundant than formerly due to loss of its grassland habitats. Its foodplants are a wide range of wild crucifers, water-cress, wild cabbage and nasturtium. Its habitat is hedgerows, ditches, lakes, and ponds, damp meadows and moorland. 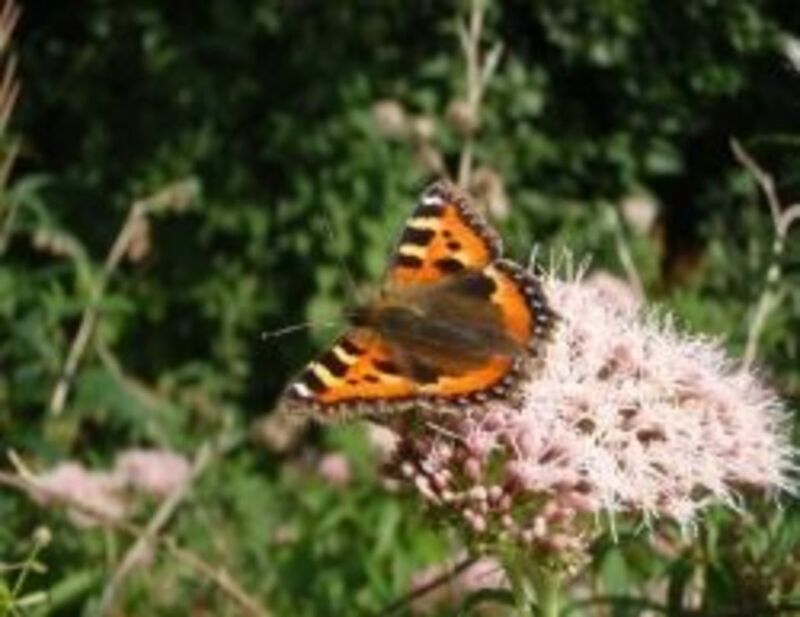 This butterfly is found throughout the UK but favours the coast and areas with lots of thistles and knapweed. I have seen a few over the years but usually only one or two individuals. This one was at Prestbury Hill. 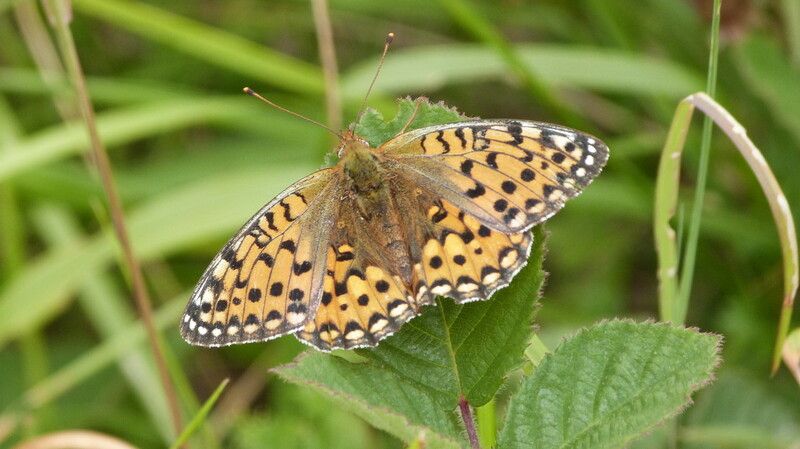 The upper wing is hardly distinguishable from the high brown fritillary so I made my choice based on the location and the fact the dark green fritillary is generally more common. 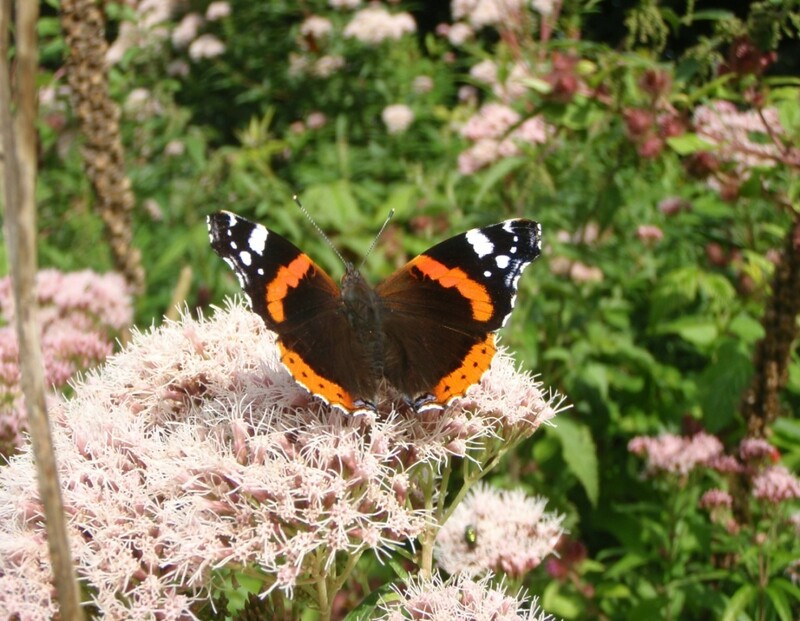 Do you enjoy watching British butterflies? Yes they are beautiful! We have two Buddleias which do attact a lot of butterflies and we try to plant for wildlife. I enjoyed reading your guide to the different butterflies.